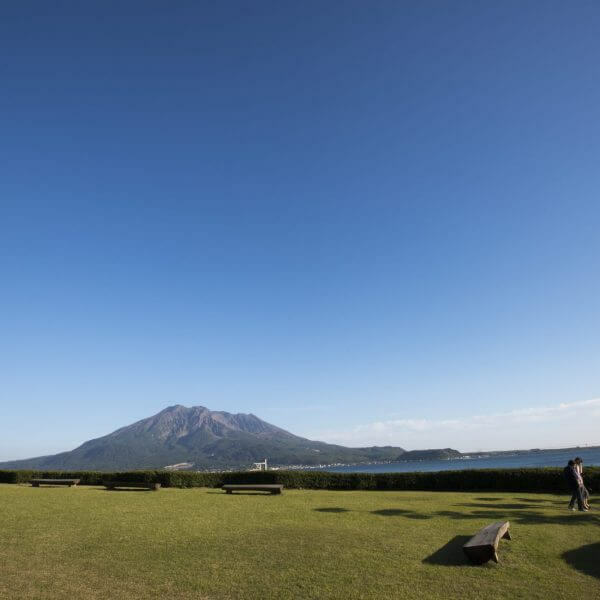 Visit the house loved by generations of the Shimadzu family, and enjoy the private view over the gardens, Kinko Bay, and Sakurajima. 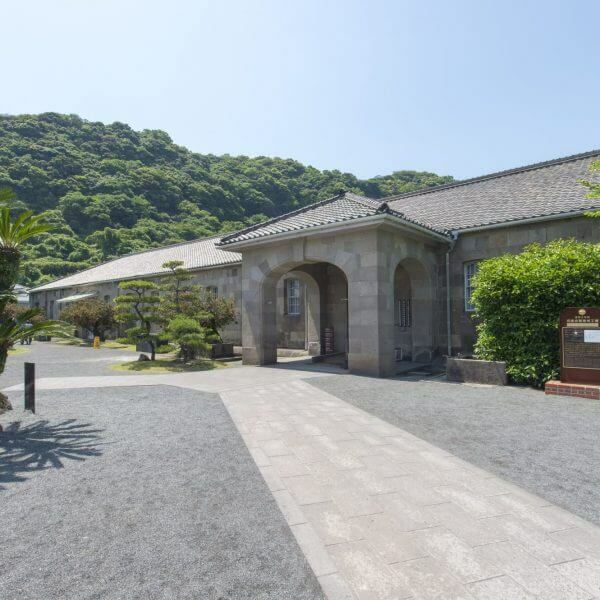 Learn about the lifestyle of Prince Shimadzu Tadayoshi and see how distinguished guests from both Japan and overseas were welcomed at Sengan-en by the Shimadzu family. 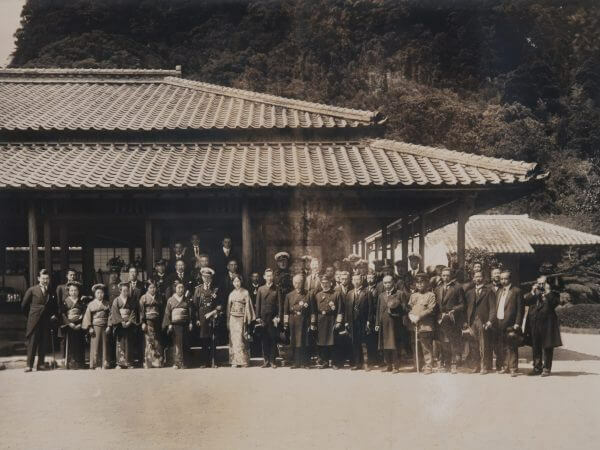 During the late 19th and early 20th centuries, Kagoshima was visited by many important dignitaries, both from Japan and abroad. 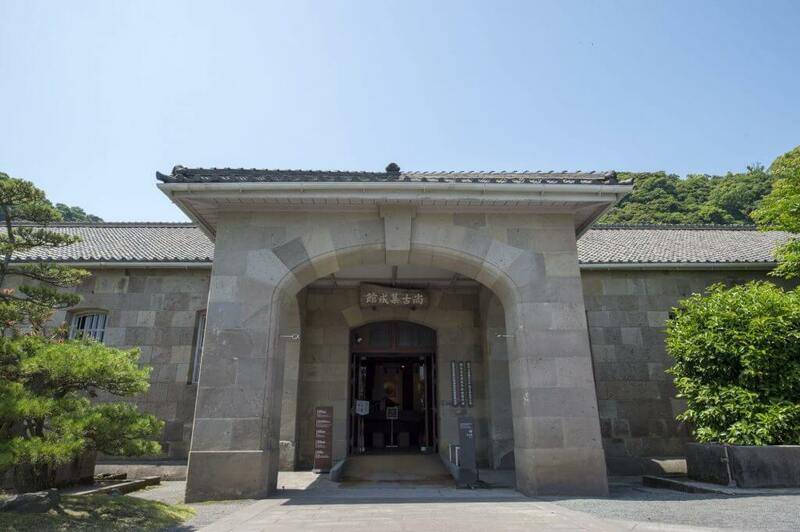 Sengan-en was used as a venue to welcome and entertain these distinguished visitors. 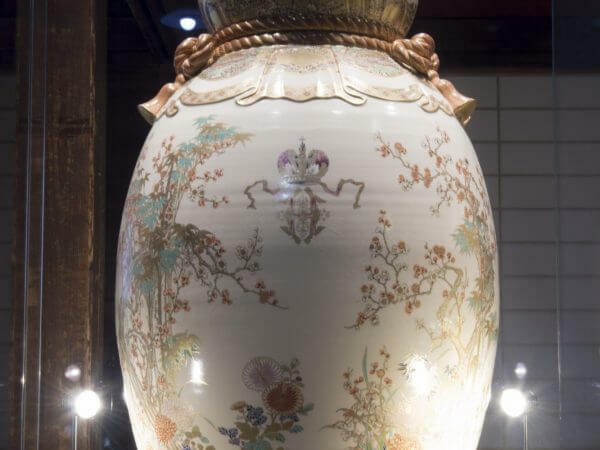 See a replica of the stunning pair of vases sent as a gift to Nicholas II of Russia on his coronation as Emperor of Russia by Shimadzu Tadayoshi in 1896. 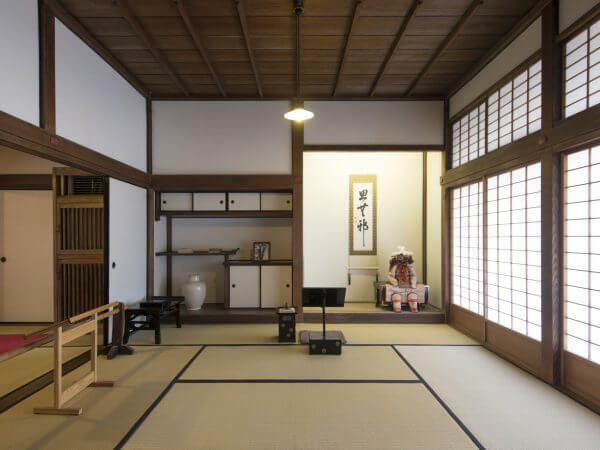 Discover a fascinating blend of Western and Japanese influences in the reception room used to receive important guests. 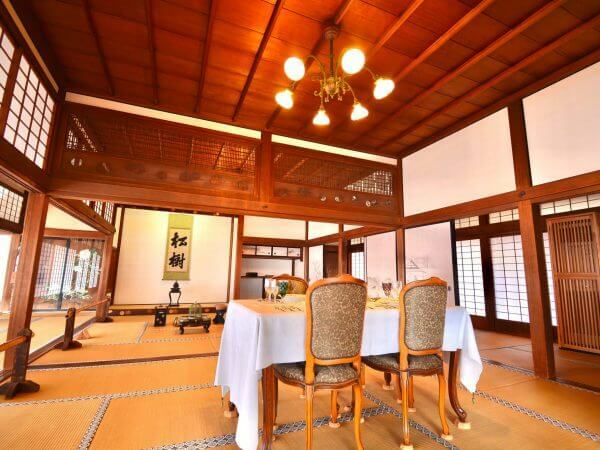 The chandelier in this room was order-made in London during the 19th century. 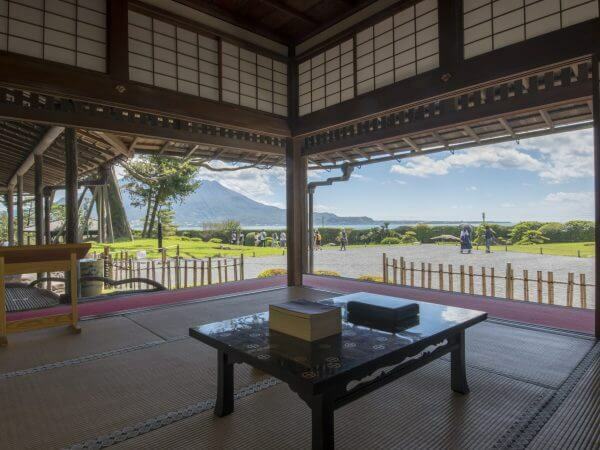 Sit and look over the gardens for a stunning view that includes the turtle rock, the crane lantern, and the bay and Sakurajima beyond from Tadayoshi’s study. 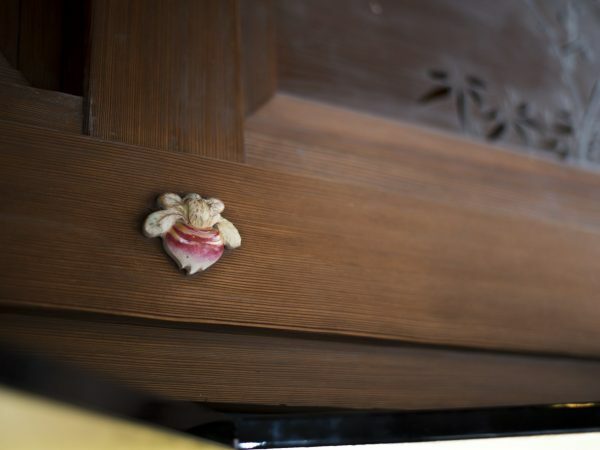 See how Tadayoshi would have slept and make sure not to miss the detailed sliding door made from Yakushima cedar and decorated with cherry blossoms. 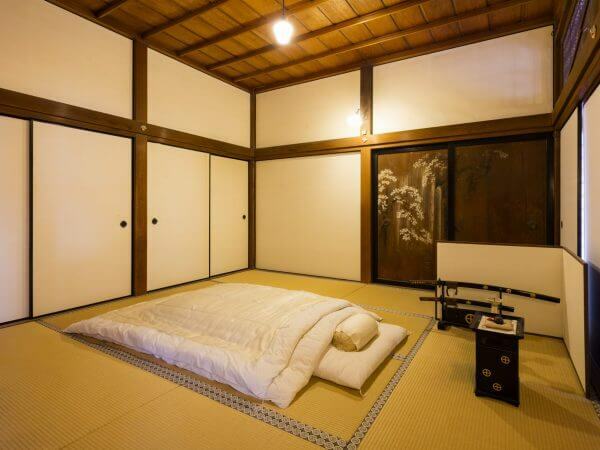 This is Tadayoshi’s private bathroom. 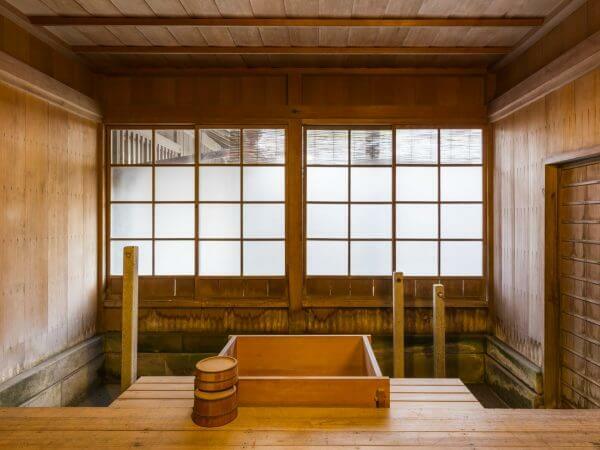 Servants would heat water outside and carry it through the doorway on the far side of the room to fill the bath. 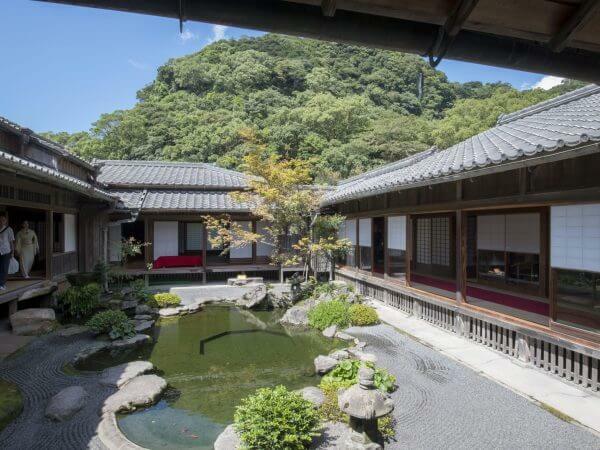 Take a rest and enjoy the view of the inner garden. 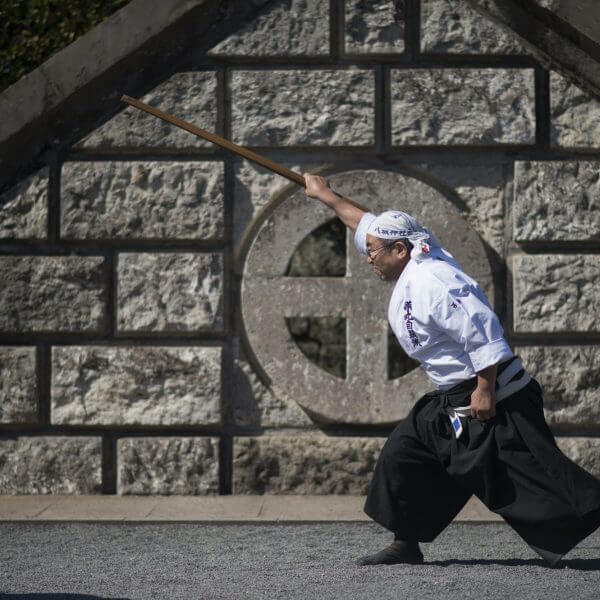 The pond features a sunken octagon, part of a set of two said to represent yin and yang. 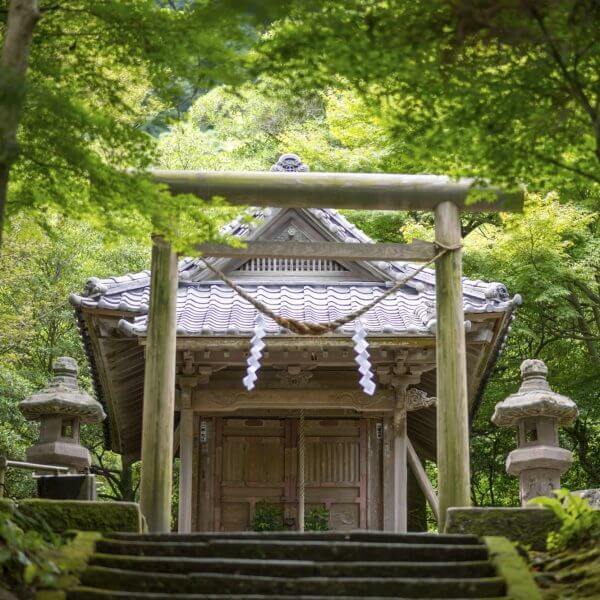 Originally conceived to hide the nails which join the beams and pillars together, these elaborate decorations add a hint of style to each room. 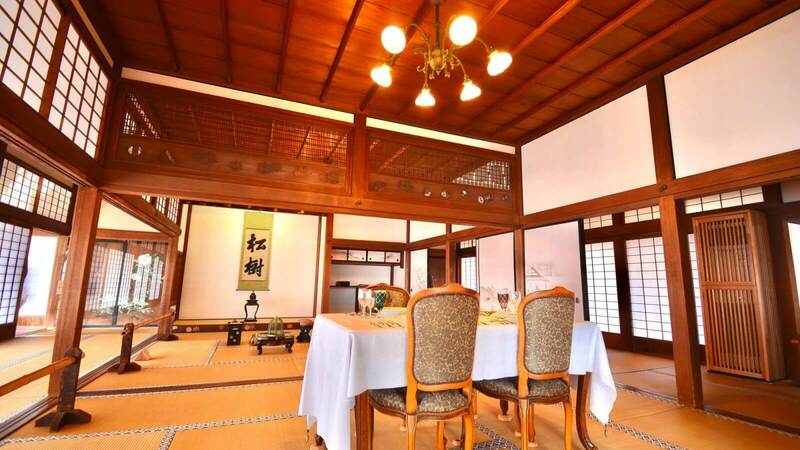 This room was lived in by the 30th-generation head of the Shimadzu family, Tadashige, from his birth in 1886 until the time he moved to Tokyo at age 12.